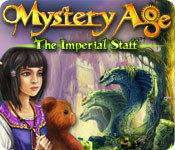 Mystery Age: The Imperial Staff is rated 3.2 out of 5 by 13. Rated 4 out of 5 by smilingsun72 from Good Fun for all Ages! Not only is this a story about a family but a good family game as well. This puzzles are not difficult. The music is relaxing. The scenes are bright and colorful. The characters are charming. Though there is no voice acting the characters tell it through chat bubbles you have to read, which is nice for a change. 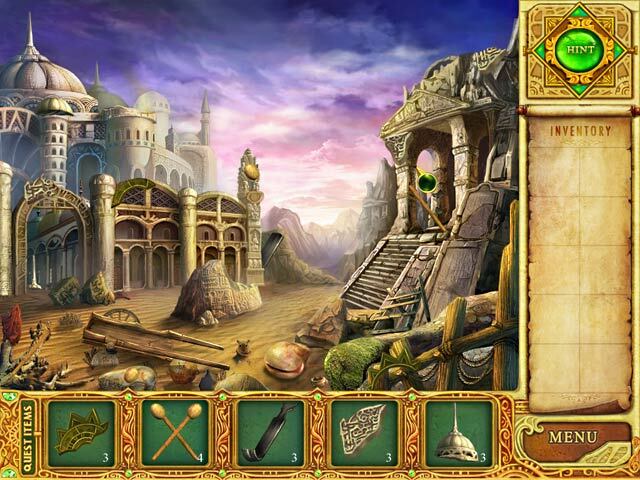 Most items are found in the scenes provided so no map isn't required. The cuts scenes are nice and add to the story. Rated 4 out of 5 by rosekaufmann from GOOD FOR YOUNG AND OLD ALIKE Beautifully crafted adventure story. Appropriate for young children. Well organized. FRAGS bright, brilliant colors – nothing drab anywhere in the scenes. Very polished and finely-tuned gameplay. Actions are somewhat predictable – fairly linear with limited backtracking. Each chapter has its own set of locations. The cutscenes and dialogue were somewhat dull in comparison to the gorgeous graphics – the mother sure has a lot of pet names for the daughter, which became very mildly annoying. Good hint sytem. Nice puzzles. Overall, awfully fun and entertaining. Rated 4 out of 5 by Heather_G from Very Pretty and Enjoyable Game The story line is not terribly sophisticated, and I agree that the ended was less satisfying than I would have liked, but I've played plenty of games with worse endings. This game is by Digital Quarter and what sets them apart is the beauty of the illustrations and locations, little animated touches, and good sound and music. There is a story, and it holds together throughout. The game ran fine even though my PC is getting a little long in the tooth. 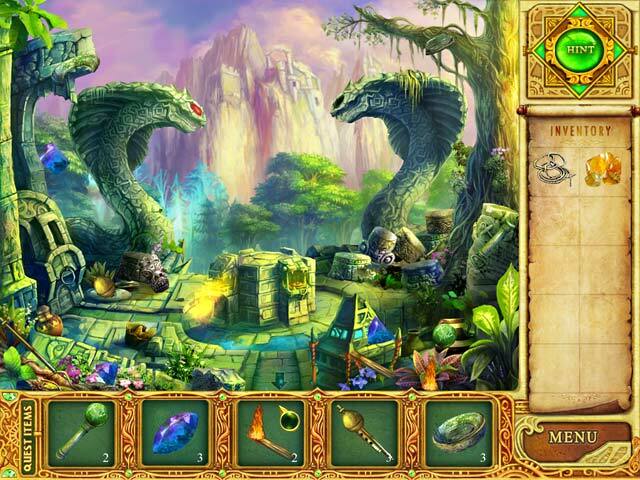 Since I played this game, I've enjoyed two others by this developer: Mystery Age: The Dark Priests, and Shaolin Mystery: Tale of the Jade Dragon Staff, both of which were also enjoyable. Shaolin Mystery also had a little more mature story to it. Both of the other games are a little better than this one, but I'd still recommend Imperial Staff. Rated 4 out of 5 by sco8462 from Good time killer I usually enjoy the adventure games, but sometimes for a nice relaxing break I enjoy the HOS where you look for the pieces that make up the item and the items have to be used to get the next little piece. I agree with the other reviewer, the dialog and constant cut scenes are annoying, but I enjoyed it. I like that you have to play puzzles and find the items. I don't always care if a story makes sense. Rated 3 out of 5 by Twistedflower from - but then came the ending... I actually really liked this game. I like when there is dialogue, and the puzzles are nice. It is a FROG, and I normally don't care for those, but this was ok. So all in all I was pleased - but then came the ending... It just seemed smacked together, and at that point the story didn't really make that much sense. But it is just at the very end, so there is much nice gameplay to go through before that point. Still I have to lower my grade for the experience on that account. Rated 2 out of 5 by Dr_Q from Shows its age I'm assuming that this is an older game, based on the graphics and the structure. There are no options for level of play, so you're forced to walk through a tutorial scene. It's definitely geared to younger teens -- the narrator keeps calling the player names such as "clever cat" and gives specific directions about what to do next. 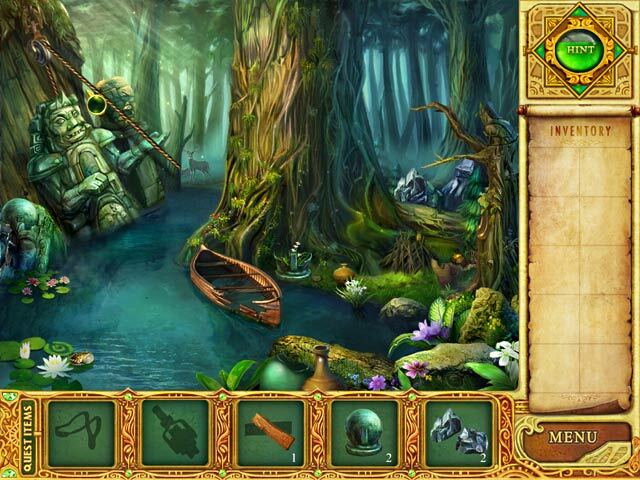 It features two types of hidden objects -- fragmented type, where you find the pieces of items, and the other where you find specific numbers of given items (10 mushrooms, etc.) However, it only shows the completed object, not the fragments, which can be mildly frustrating. Might be good for a younger and/or inexperienced player. Rated 2 out of 5 by centauri272 from Not for me... This game is very slow. The storyline is boring. The graphics are good, but otherwise.... There's too much talking, making the game seem longer. The FROS and puzzles are very easy. So I would recommend this game only for a beginner.